Please remember our second of four summer band rehearsals scheduled for this Thursday, June 20th, 6-8 pm, including all band members and auxiliaries. 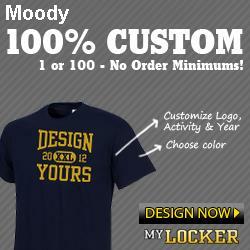 $100 payments are due toward band fees, made payable to the Moody Band Boosters. Any unreturned paperwork may be submitted to Dr. Sargent at this time as well. Each band and auxiliary member is expected to attend at least three out of four summer band rehearsals. See you Thursday! Please add Gavin H. (Trombone section leader) to the previous posting.